Following an initial meeting, where we would get an understanding of your needs and aspirations, we produce some initial design ideas and options. This can be starting from a blank site or an existing building. These designs are revised and progressed until you are happy with them. We do not charge extra if more time is needed at this stage as we realise that this early period of a project is vital and can't be rushed. Once a design has been agreed, we will produce full planning drawings suitable to be presented to the local authority. We will liaise with the planning department to make sure their requirements are being met and organise any information required by them (design statements, reports etc). We will then make the planning submission on your behalf and follow this through to decision, keeping you informed of progress. Some smaller projects may not require planning approval - we would advise on this during the initial design stage. Most projects require a submission to be made to building control at the local authority or a private inspector. This can be a simple form and basic drawings or may require a lot more detailed construction information. We can advise the best route forward and put together the application and the required information for you. More detailed drawn and written information may be required in order to help you choose the best builder / contractor for your project. We can prepare the drawings and specifications needed to get comparitive quotes. 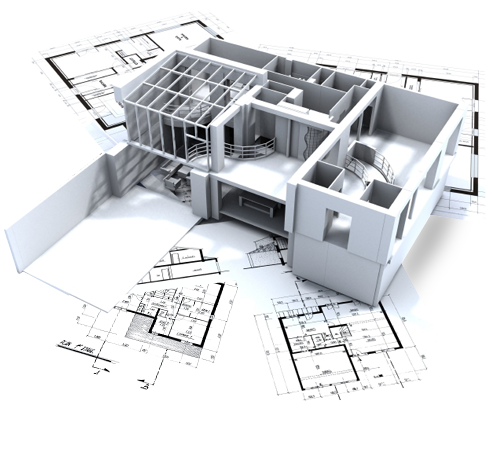 We can also provide the information needed by the builder during the construction process. If needed, we can oversee the building work and act as your manager and advisor - a link between you and the builder. We can also advise regarding building contracts and appointment of the builder.